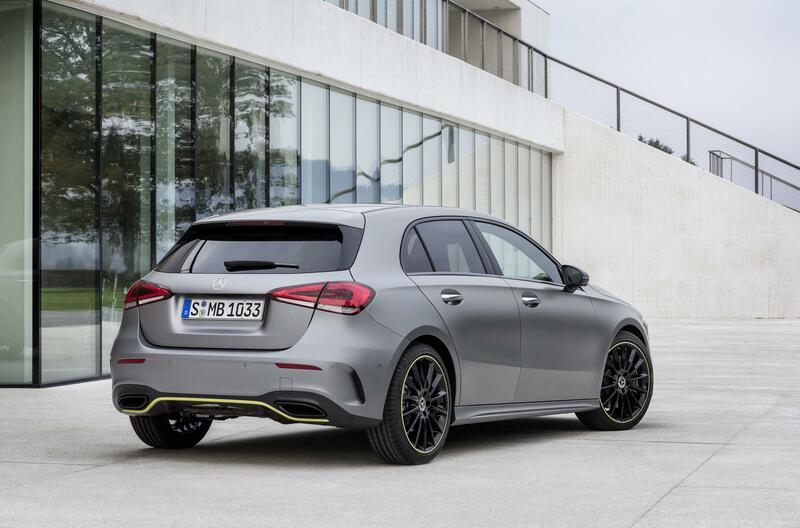 Get a good look, this is the all-new, 2018 Mercedes-Benz A-Class. 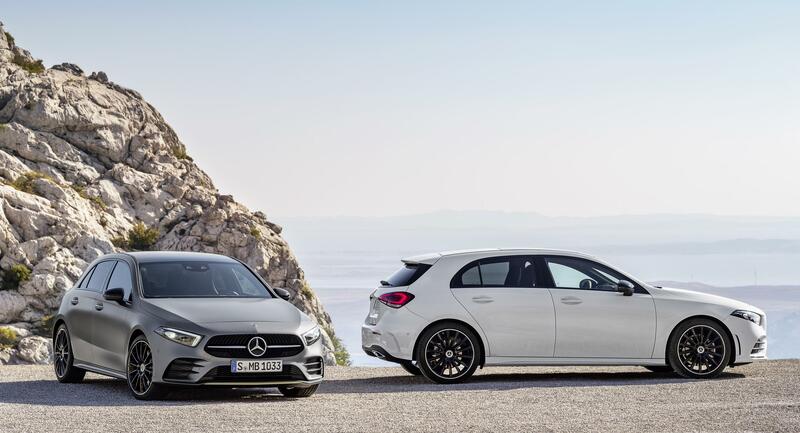 It’s set to reset the benchmarks in the premium compact car class, bringing advanced technology and a flash new look. 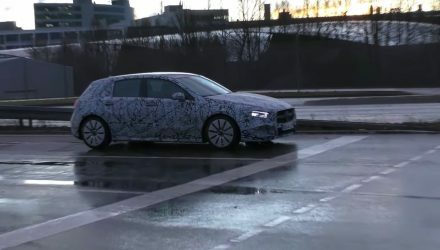 Starting with the design, it takes on the company’s latest philosophy which debuted with the new CLS a few months ago. The most obvious element is the inverted LED headlight design, which gives the hatch an angry and focused face. 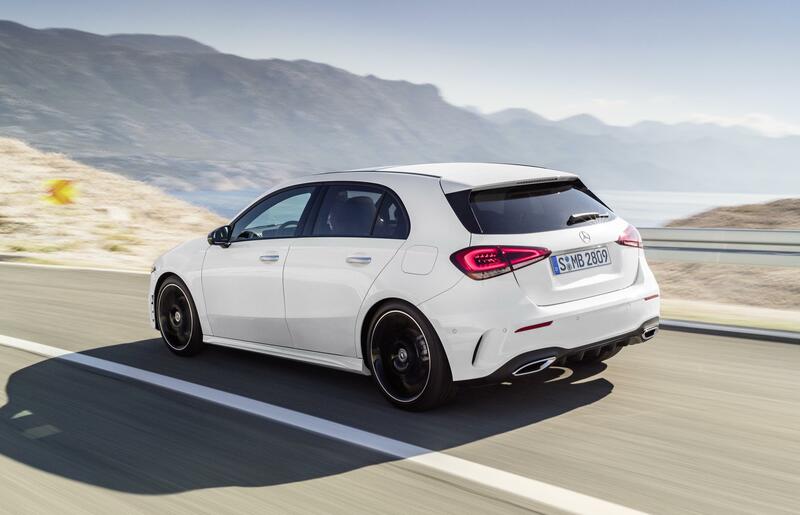 The body is very slippery, offering a drag coefficient of just 0.25, making it the most aerodynamic hatch in the class. It stands at 4419mm long, 1796mm wide, and 1440mm tall, making it 120mm longer, 16mm wider, and 7mm taller than the outgoing model. Inside, it’s all about technology and attention to detail. 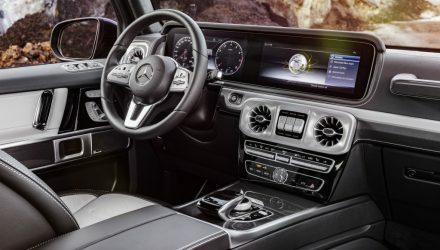 Buyers will have the option of three different fully digital dash layouts, including two 7.0-inch screens, a 7-0-inch and a 10.25-inch, or two 10.25-inch units. 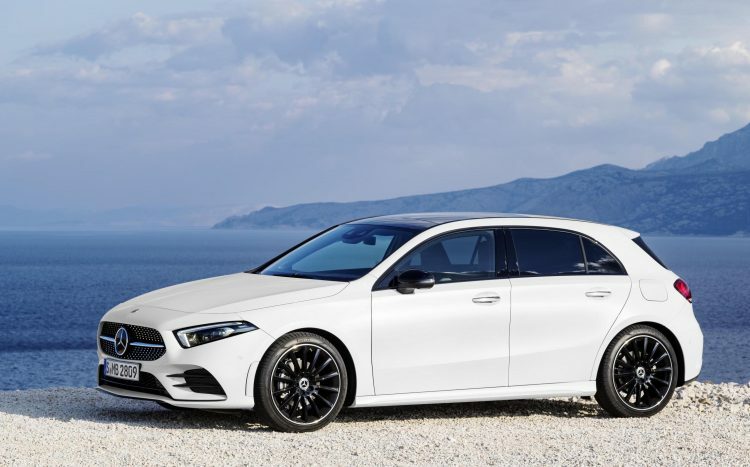 This is all packaged together with something Mercedes calls MBUX, which provides intelligent voice control with commands prompted by saying “Hey, Mercedes”. In terms of safety, the new A-Class will be available with Pre-Safe Plus with rear-end collision detection, capable of applying the brakes firmly in times of imminent danger. There’s also Active Brake Assist, Active Emergency Stop Assist, and Active Distance Assist Distronic cruise control available. 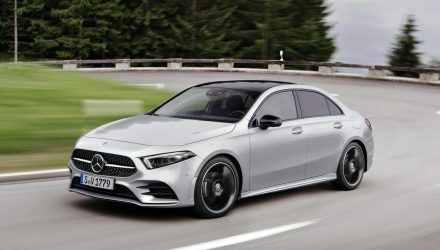 From launch the new model will come in three variant grades, spanning from the A 200, A 250, and A 180 d. These are powered by a new, 120kW 1.4-litre turbo, capable of 0-100km/h in 8.0 seconds, along with a new 2.0-litre turbo generating 165kW, capable of 0-100km/h in 6.2 seconds. 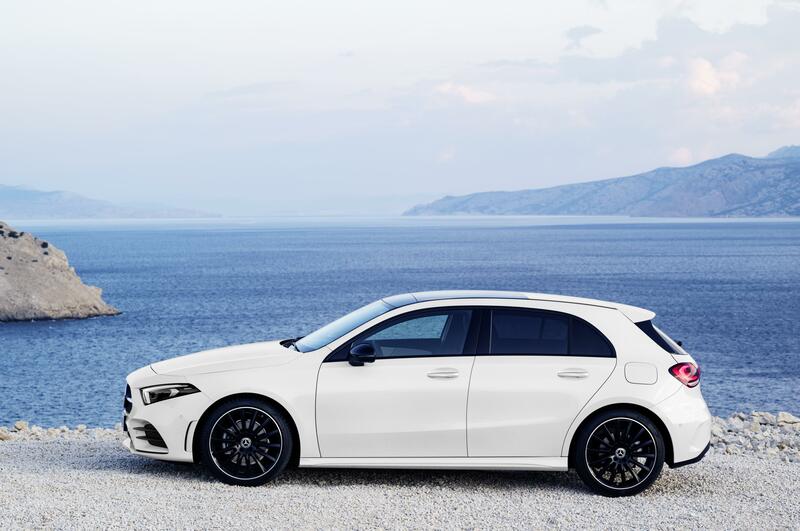 For the diesel fans, the 180 comes with a 1.5-litre turbo-diesel producing 85kW and 260Nm. 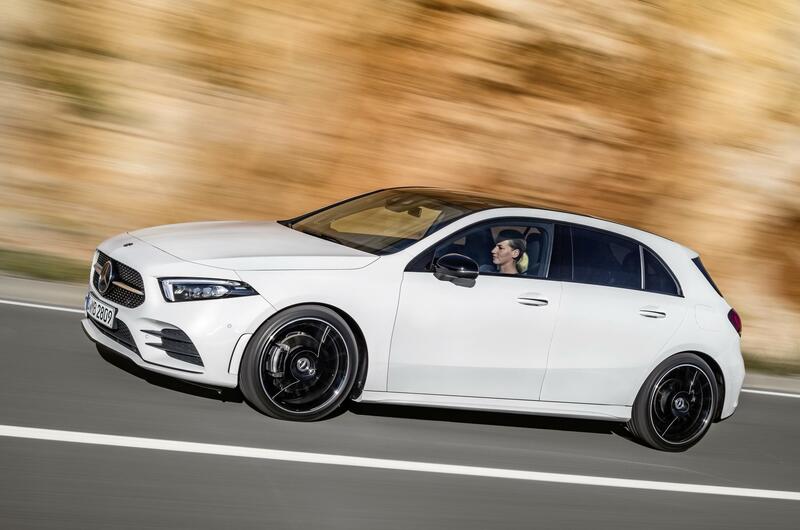 It’s capable of 0-100km/h in 10.5 seconds, yet offers a fuel economy average of 4.1L/100km. 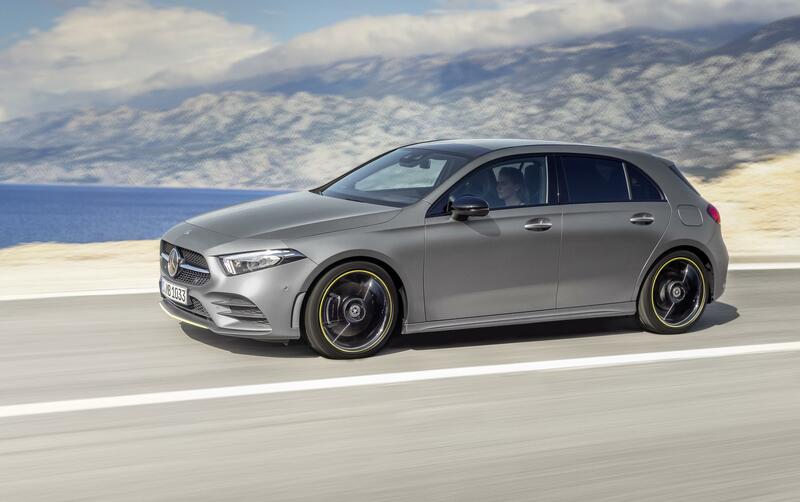 Details of a hotted up AMG version haven’t been clarified as yet. However, market entry for the regular range will take place in the second half of this year. 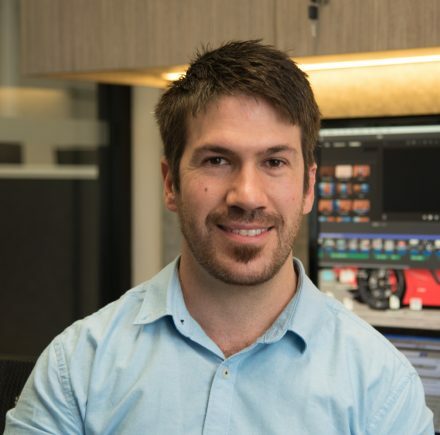 Aussie details are yet to be confirmed.